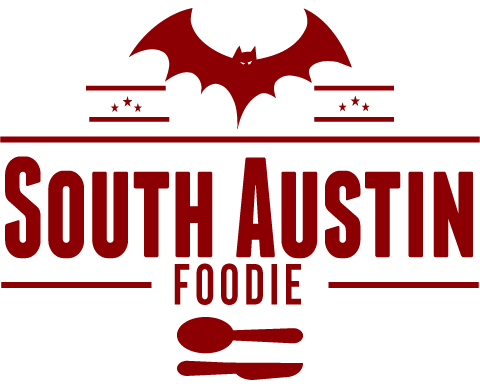 If you've been reading regularly, you know that as a member of the Austin Food Bloggers Alliance, I've been participating in a project with the Capital Area Food Bank. We've been trying to come up with cost-effective, nutritious recipes that a person who receives SNAP (food stamps/Lone Star Card in Texas) benefits could make to maximize their dollars. Behold the power of the black bean! Ideally, you've budgeted not only your money, but your time to cook up a pot of beans from scratch. Dry beans, water, a little salt, and you have a great-protein filled dish. If you can add an inexpensive ham hock or salt pork, you can add more flavor. Heck even an onion adds more flavor to the pot! But black beans on their own aren't as interesting as they are when you start adding things to them. This black bean salad is a staple for me. And it's easy. And you can use whatever vegetables (in whatever quantity you like) you have on hand. For this, I have used one 14-15 oz. can black beans (drained and rinsed; no I did not budget my time well so I could cook dry beans from scratch! ), various bell peppers, diced, a jalapeno, diced, corn (fresh, frozen or canned is fine; you can also toast it lightly in a skillet), red onion and jicama, diced, cilantro, minced. I like a simple mixture of a little ground cumin, lime juice, and olive oil to just add a little punch of Latin flavor. Salt and pepper to taste, and you're done. Nice side dish, and plus if you make a big batch, it will last a few days in the fridge. Or you can make this into a salsa, by adding some fresh or canned diced tomatoes. Next option, take this black bean salad, and add cooked quinoa and stretch it that much further. Quinoa? What? Quinoa is technically a seed that hails from the Incan civilization; it's a cousin to beets and spinach, which may explain why it is so nutritious. A portion of quinoa has a serving of protein, as well as your daily amino acids, something that rice or couscous can't offer. It's cooked like rice too, basically two parts water to one part quinoa; I add a little salt or sometimes some broth for flavor, and it's ready in about 15-20 minutes. It's great on it's own, but because it's flavor is mild, it's a nice healthy addition to dishes. A pound of quinoa from a grocery store's bulk foods department runs about $2, and that makes a LOT of quinoa. It's a cheap thrill fill. So here's the black bean salad with quinoa added. From here, you could change it up from one night to the next, and make these into black bean and quinoa burgers. I've added two eggs, about 1/4 cup of flour (both for binding; I've tried it with only one egg, and it really needs both), about a cup of shredded sharp cheddar cheese. Mix it well, and heat a skillet over medium heat with about a tablespoon of oil. With your hands, form a ball (about a tennis ball sized) of mixture, place into the skillet, and then press down to form a patty. I have found this works better than trying to form a patty by hand. Repeat with remaining mixture. Cook about 3 - 4 minutes per side, until they are golden and crispy. Remove from heat and serve. Great with a salad or side of roast veggies. If you make a big batch, they reheat pretty well in the microwave. I had followed a recipe for these at one time, and now I sort of wing it. But here's what I think is the latest version! Enjoy, and happy eating!